You Can Count On Us For In-State Local Moves! Jake’s Moving and Storage is licensed, bonded, and insured professional moving company serving Washington D.C., Maryland, Virginia, and surrounding areas. This knowledge helps put customers at ease. One’s household or office possessions are important and you want to hire professional commercial or residential movers that you can trust. All items large or small are handled with the utmost care by company personnel. We are licensed to provide competent, high-quality service in each of the three areas noted. A company that is bonded has undergone a thorough background check. This further provides a sense of well-being for the customer. Jake’s Moving and Storage continually serves the relocation needs of our patrons. We provide local moving services within a city, within a state, or moving a block away. Our fast and friendly moving professionals are known to provide relocation services for commercial moves and residential moves within the states of Maryland, Washington D.C., Virginia and surrounding areas. Our employees are experienced in professional moving services, and our local movers continue to uphold the value of putting customer satisfaction on an equal plane with your move. Personnel are experienced with moving the most fragile of pieces as well as various shapes and sizes of home and office possessions. When contacting our company, inquire about up front pricing, packing supplies, storage services, as well as packing and unpacking assistance in MD, DC, and VA . Moreover, our staff are available to provide scheduled services most anytime around the clock. Years of experience have resulted in desiring an excellent business relationship with our customers. Our local movers can aid in providing storage services for items, if deemed necessary. We are careful with materials, pack every item very carefully with padding and support. Furthermore, we have custom packing for furniture, and oddly shaped or fragile items like statues that prevent scratches, dents, etc. If there is a gap between moving out date and moving in date, we can pack up your items, or pick up your packed items and hold them in storage in DC, MD, or VA until you are ready to move. Discussing this on initial contact will ensure customer satisfaction during, and after the moving process is completed. Whether the move is around the block, or to a new city, our local movers have decades of experience on which to perform a move of household items that will leave the customer feeling at ease and satisfied with their choice to use our company. Our professional commercial movers have cumulative experience in moving office furnishings large and small, across the city, around the state, or within the area. One may schedule a commercial move or residential move to occur most anytime day or night. 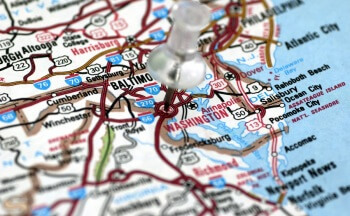 Consistently, we provide professional, honest, and dependable service throughout Washington D.C., Virginia and Maryland. We are happy to determine with you the extent of your total local moving needs from start to finish. This is a highly mobile region, and Jake’s Moving and Storage are highly qualified and experienced to facilitate both move from one home to another, or one office facility to another. For several decades we have established high-quality service to our customers from across the “metro region” and neighboring states. Additionally, moves large or small, around the block or throughout the region is our experience. Our end-goal is to provide 24/7 customer service that will be remembered as both confident and competent, and recommended to friends and professional colleagues facing relocation needs. No need to handle all that heavy lifting on your own. Our expert movers will get your store packed up, moved and unpacked without any damage to your books. With our furniture assembly services, we can even assemble shelves for your inventory at your new location. Whether you are moving to a larger store down the street, or moving to a new county, we can handle all of your moving needs. Jake’s Moving and Storage MD VA DC – Your Trusted Local Movers in DC, MD, and VA! Local Movers https://jakesmoving.com/local-movers/ 4.2/5 based upon 33 reviews.